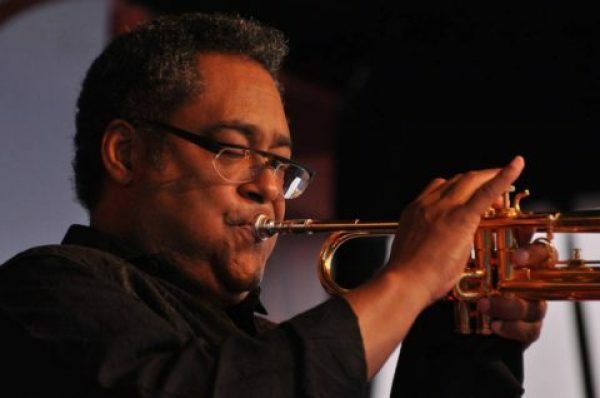 Jon Faddis: I was about seven years old and my parents wanted to keep me off the streets. They asked me what I thought was an innocent question: “John, if you could play an instrument, which one would you choose?” I thought, I have a sister who plays the piano, so that was out. There were two brothers who lived two doors down from me, Sydney and Bradley. One played the saxophone, one played the trombone, so those were out. Somebody down the street played the drums. That’s out. Then I remembered seeing Louis Armstrong on Ed Sullivan and how everybody loved him and I just said, “trumpet.” The next thing I knew, my parents had bought me a trumpet and were making me take trumpet lessons. So that’s how I got started. Salina: When was your first professional gig? Jon Faddis: When I was in junior high, I was playing with a bunch of cats in high school who were doing the garage band stuff playing Motown and songs like “I wish you were rain,” “Cold Sweat,” and “Knock on wood.” Those were my first paying and non-paying gigs because a lot of times we’d go to get paid and didn’t get paid. I guess my first real professional gig was when I graduated from high school and I joined Lionel Hampton’s band, and that got me to New York. I’m from Oakland, California. Jeremy Pelt: Heeeyyy! I would say this, “Thanks for listening and thanks for the support all these years. It’s difficult for me to believe that I’ve been in New York for 47 years, so thank you. Jon Faddis: It’s a nice club! I didn’t expect it to be so nice because I remember the old Jazz Forum downtown, and when Mark would come over to my house for lessons and stuff. This is quite nice and the audience seems very appreciative and into the music, so that’s really nice. We need more of these all over the country.